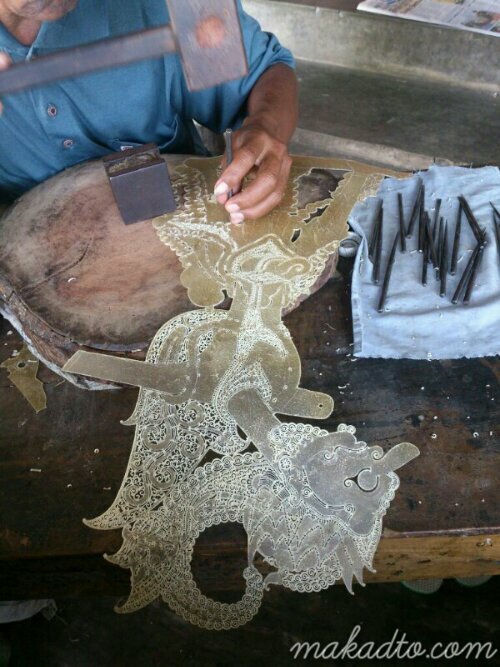 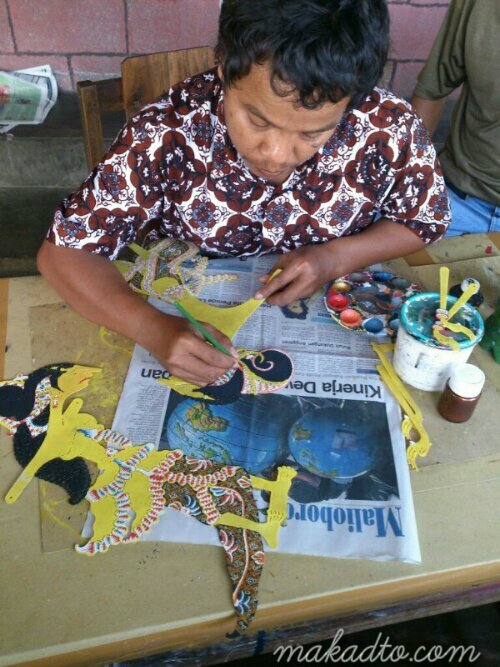 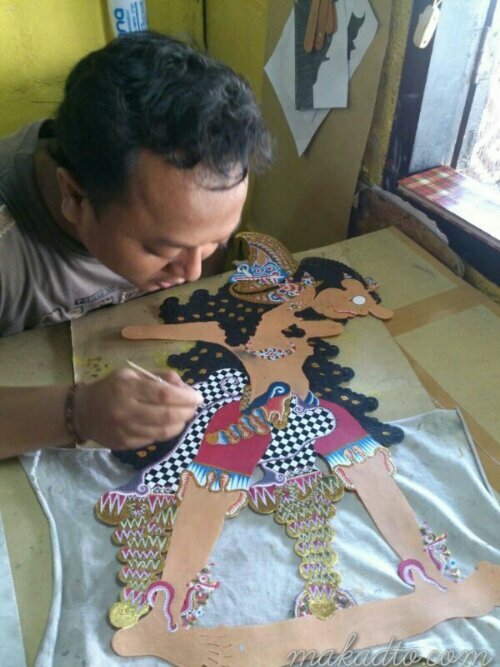 The making of Indonesian leather (kulit) shadow puppets (wayang) is done by hand in several stages involving different artists just like the time-consuming and tedious process of making hand painted batik fabric. 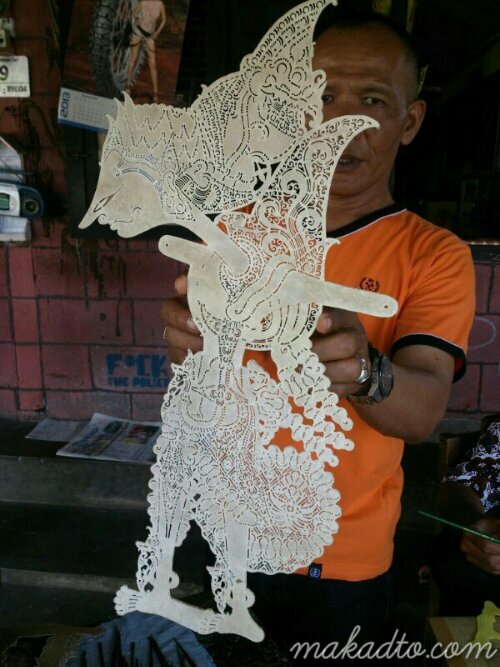 Is there a word for extremely detailed? 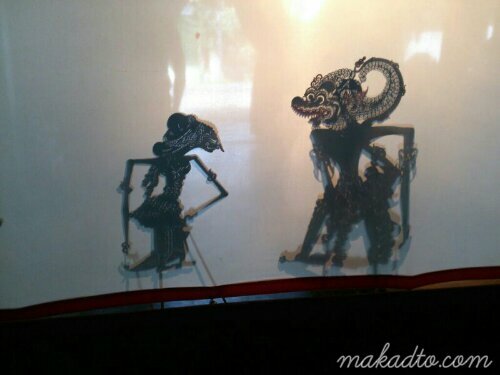 This is how it looks like at the back of the white screen during the show. 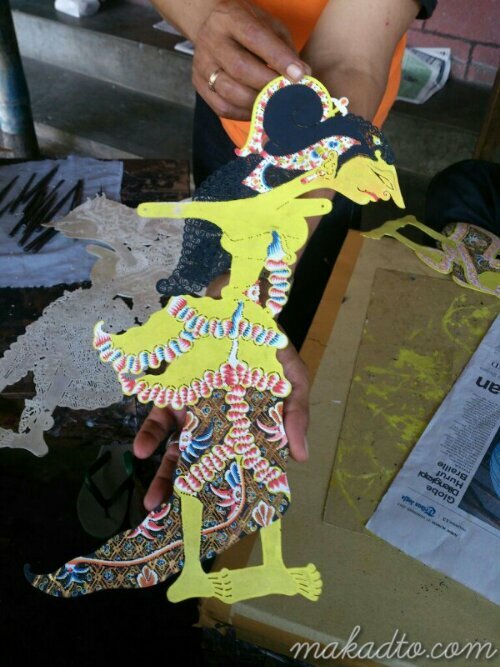 The stick attached in the middle is wedged to the banana trunk so that the dalang (puppet master) can move the other sticks attached to the limbs. 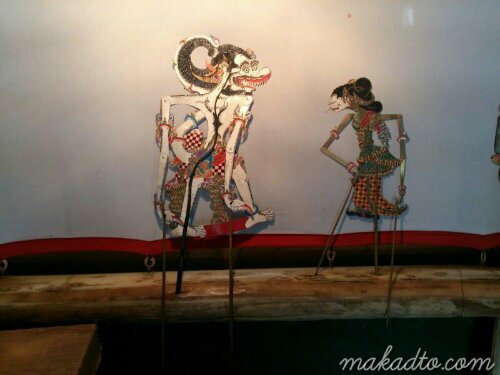 A dalang giving us a sample show in this puppet making place somewhere near kraton in Yogyakarta.